Explore A World Of Endless Possibilities With The Samsung Galaxy S8. Featuring The Innovative Infinity Display, This Smartphone Offers A Smooth, Curved Surface Without Sharp Angles. With An Array Of Security Features, Such As The Iris Scanner, Face Recognition And A Fingerprint Sensor, The Galaxy S8 Keeps All Your Private Data Safe From Unauthorized Access. Its 10nm Processor, Along With 4 GB Of RAM, Delivers A Power-packed Performance. 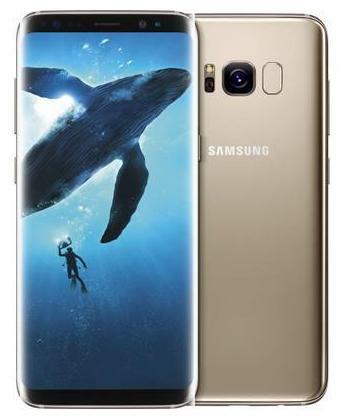 The 8 MP Front Camera And The 12 MP Rear Camera Further Add To The Galaxy S8 S Appeal.